A review in 10 words (or thereabouts): When the bomb dropped, two sides prepared for a future war. 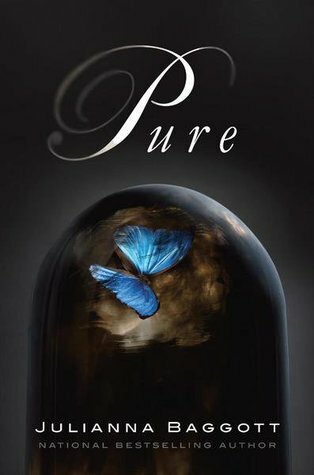 In a post-apocalyptic world, Pressia, a sixteen-year-old survivor with a doll's head fused onto her left hand meets Partridge, a "Pure" dome-dweller who is searching for his mother, sure that she has survived the cataclysm. If the story is nothing else, it's creative. Baggott presents an original take on the dystopia, post-apocalyptic publishing boom. The cast of characters are varied and interesting; the story has a mix of baddies, uber-baddies, and maybe-baddies; and Baggott does an exceptional job world building. Despite all of the originality, there were several moments of convenience...people who know a little too much, information a little too ready...resources, despite being scarce, a little too available. If you like conspiracy theories, bleak futures, and really creepy characters, than this is the story for you. It was almost too creepy for me (and I don't shy away from creepy). When I read, the story plays out like a movie in my head. The mutations formed by the nuclear blast were extremely disturbing. Would people really be able to live with birds melded into their backs or a small fan lodged in their throat? I don't know, but the visual is really something. The first in a series, Pure leaves with a reasonable cliffhanger. I'd like to say I'll continue, but my track record with series isn't great. Nonetheless, it's worth checking out the next time you're at your local library!